ITANAGAR, Feb 11: Chief Minister Pema Khandu has conveyed his opposition to the contentious Citizenship Amendment Bill (CAB), 2019, to the central government. 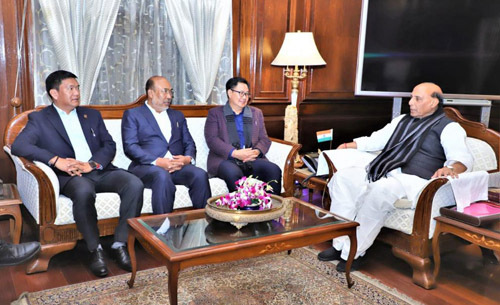 In a meeting with Union Home Minister Rajnath Singh in New Delhi, Khandu along with Manipur Chief Minister N Biren Singh on Monday apprised the home minister of the situation prevailing in the Northeast region following the passage of the bill in the Lok Sabha. The meeting was significant as the bill will be placed before the Rajya Sabha on 12 February. According to the list of business posted in the Rajya Sabha, the home minister will move the CAB, 2019, for consideration and passing. The bill, seeking to amend the Citizenship Act, 1955, has already been passed in the Lok Sabha. It was passed in the lower house on 8 January, even as there was a total shutdown in the Northeast region against it. The CAB, if it becomes an act, will allow illegal migrants, based on their religious identities, to claim Indian citizenship. The bill, which experts say is in violation of the constitution, seeks to accord Indian citizenship to persecuted Hindus, Christians, Sikhs, Buddhists and Parsis from Bangladesh, Pakistan and Afghanistan, provided that they have stayed in India for seven years without valid documents. The chief ministers of Meghalaya, Nagaland and Mizoram have already opposed the bill. There is no comment yet from the governments of Tripura and Assam, even though there have been massive protests in the two states. The protests in the Northeast started in Assam in 2016, notably by the Krishak Mukti Sangram Samiti, as Assamese organizations say that the CAB contradicts the 1985 Assam Accord which says that all illegal migrants who came from Bangladesh to Assam after March 1971 would be deported. Following opposition to it in Assam, the bill, though it was tabled in the Lok Sabha in 2016, had not moved further and was sent to a joint parliamentary committee (JPC). On the basis of the recommendations of the JPC, a fresh bill was introduced during the winter session. Experts say that the CAB, which does not mention persecuted Muslims, contradicts Article 14 of the Indian constitution. Opposing the bill, the Asom Gana Parishad has already exited the BJP-led coalition in Assam. Prime Minister Narendra Modi, who is seeking reelection in May 2019, during his visit to Assam on 9 February said the concerns of the people of Assam would be taken into account, without specifying details. In an earlier speech, in Silchar, the prime minister had said that the bill would be passed to amend the mistakes of the past. The speech flared up further protests across the region. 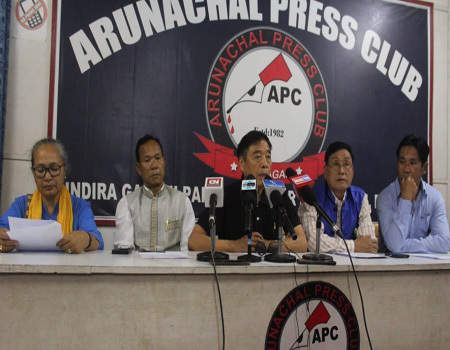 During his last visit to Assam, Arunachal and Tripura, the PM had to face the wrath of several organisations. In Guwahati, Assam, members of several organizations opposed to the bill waved black flags at the convoy of the prime minister. 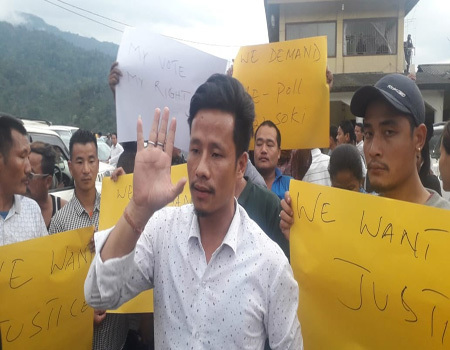 In Arunachal, the Arunachal Pradesh Congress Committee took out a massive rally, while the students of Rajiv Gandhi University and the NERIST protested in their respective campuses. Tuesday will be a defining day for the region as the Rajya Sabha takes up the bill.